Most people don't know this, but a long time ago I studied towards a degree in Fashion Photography. While my career has taken me into a very different direction, some of the photographers I came across while a student are still some of my favourites. The first photographer I fell in love with was Sarah Moon and I developed a soft spot for large format Polaroids. Then came along Annie Leibovitz and Mario Testino. 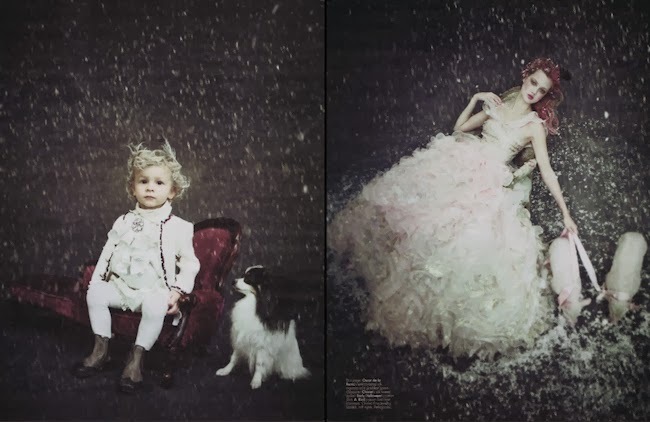 Not to forget Mario Sorrenti and his amazing recreations of impressionist paintings. My final major project was heavily inspired by all of the above, in equal measures. 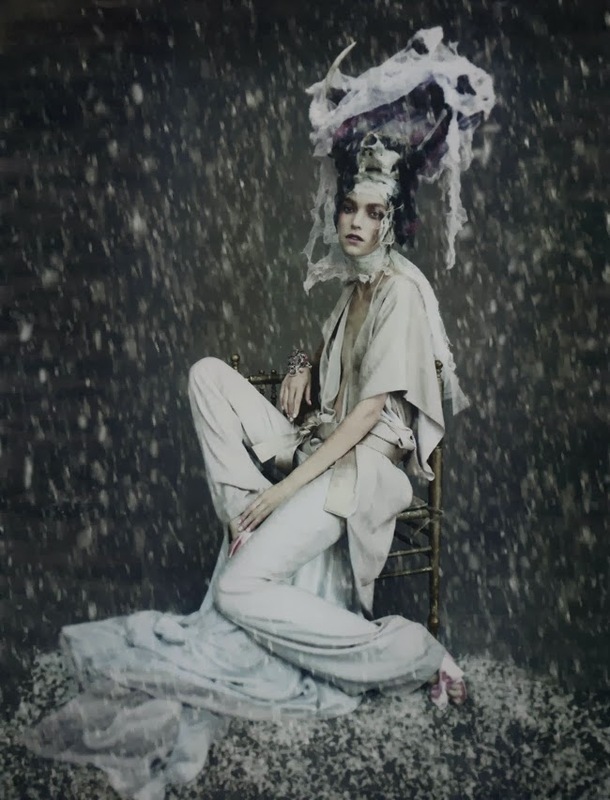 But the one photographer I keep going back to and who never ceases to amaze me is Paolo Roversi. I am in absolute awe of the eerie, dreamlike fairytales he creates with every photograph he shoots. I used to save my pennies and venture to the newsagent to buy my monthly fix of Italian Vogue. Followed by hours of leafing through and analysing Roversi's photo stories. 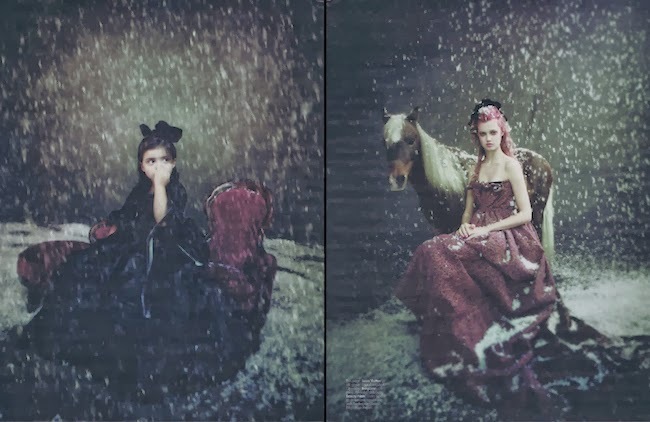 More recently, while I was reading the Night Circus (one of my favourite books) I realised how much Roversi's aesthetic genius stayed embedded in my mind. 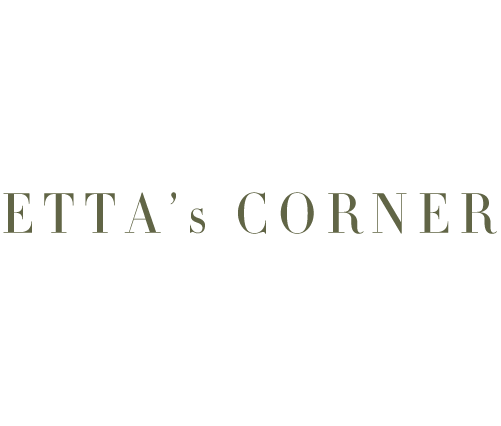 All the magical, dark and mysterious scenes of this marvel of a book played in a Paolo Roversi inspired film in my head. So if you ask me who my favourite photographer of all times is I will say with full confidence and no hesitation - Paolo Roversi. Gorgeous! I'd never heard of him.